# 5078. 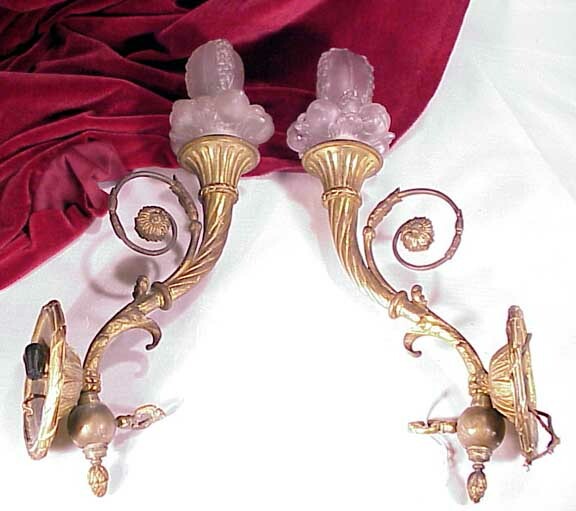 A pair of Newport Estate Gilded Age Wall Sconces. Circa 1900. Size: each stands out from the wall 7.5" is 14.5" tall. 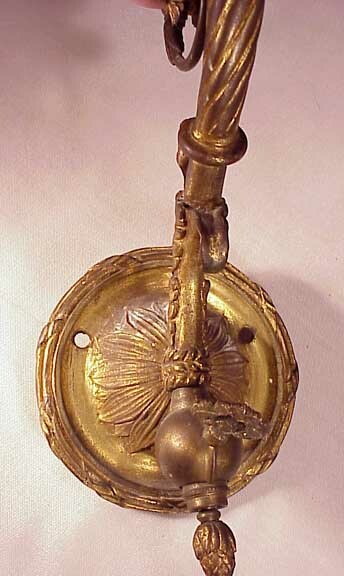 Gilded brass metalwork and a fine and rare Lalique style bulb cover which screws over the bulb housing. There is no signature on the frosted bulb covers. 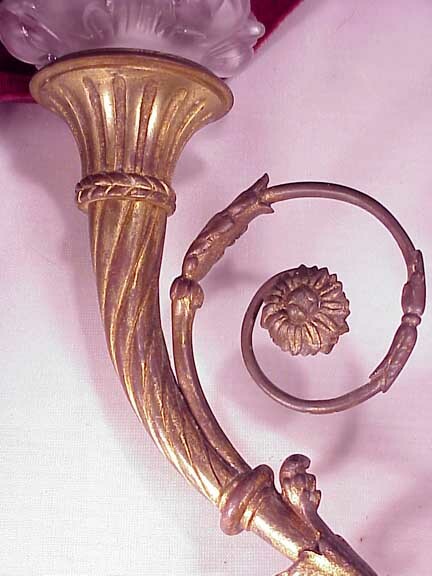 Condition: worn gilt on the metal work; tiny white paint spatters over the sconce and one of the bulb covers has a tiny flake to the lower edge. These sconces probably need to be rewired. There is what appear to be a gas key which operates the on and off switch. Price for the pair is $2,500.00. 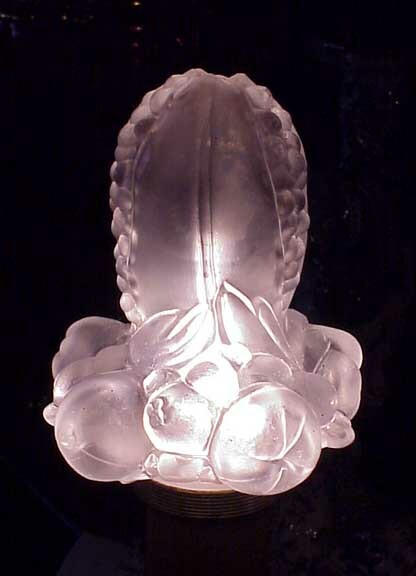 Image showing the flake to one of the Lalique Style bulb covers. 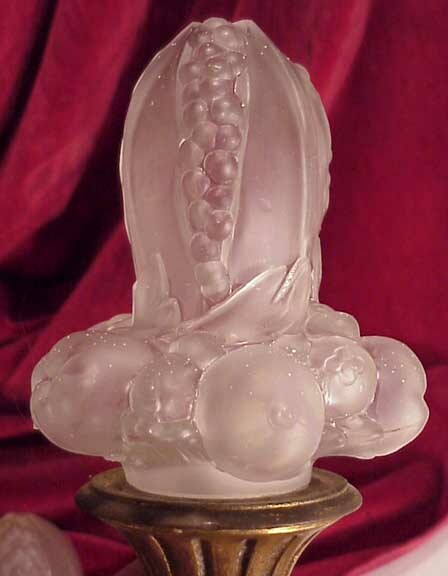 A cluster of fruit encircle the base with a pod of berries forming the upper shaft. 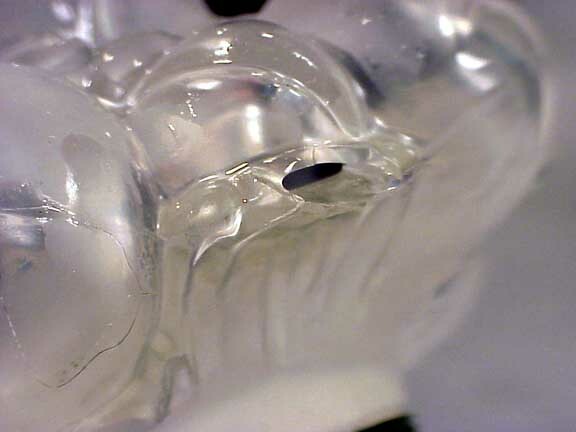 There is a hole in the top to allow ventilation. The frosted glass is fairly thick. 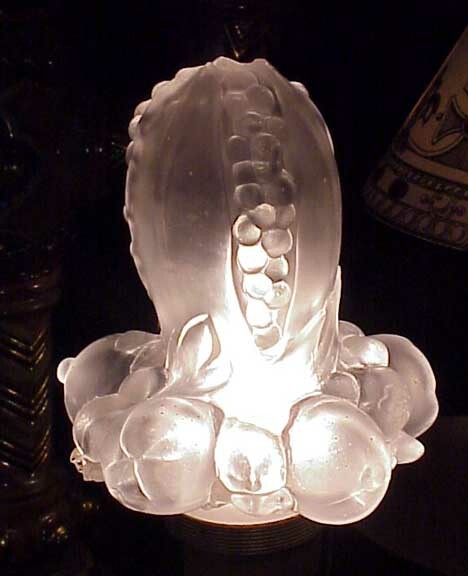 The bulb cover screws to the sconce to cover the bulb. 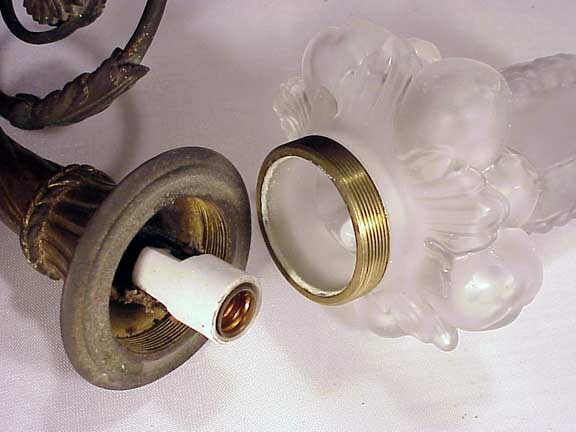 Tiny white paint splatter can be easily removed from the glass bulb covers.